Quality, available packaging, varieties, ripening and marketing period. 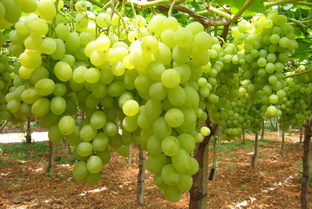 We manage a 5,000 tons production basin of table grapes in different varieties with a marketing period between June and December with cold storage. 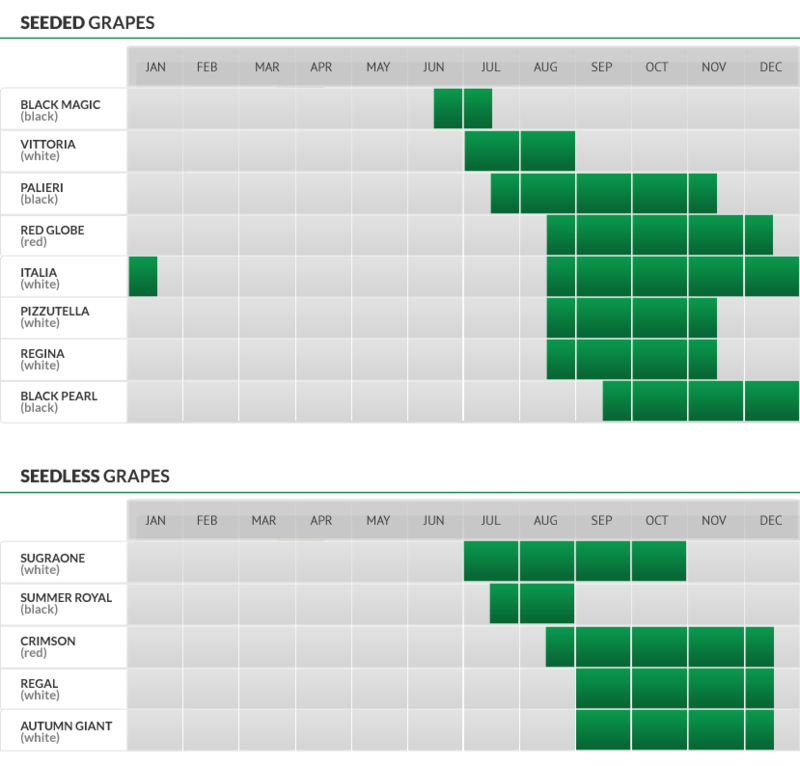 We have available seeded varieties: Black Magic, Vittoria, Palieri, Red Globe, Italia, Pizzutella , Regina, Black Pearl and seedless varieties: Sugraone, Summer Royal, Crimson, Regal, Autumn Giant. We are able to meet the requests of our clients both in terms of packaging (wooden / carton boxes 30x20, 40x30, 50x30, plastic boxes according to the most common international standards IFCO, EUROPOOL, CPR), and in terms of quantity (we can process 75 tons of product per day). 3. Other affiliated farms in Mola, Noicattaro and Rutigliano supply about 3000 tons of product that is always in compliance with our strict specification. We are talking about farms that have adopted an integrated farming system called tendone (a kind of big canvas). This method is very widespread because it can facilitate the product growing and harvesting. 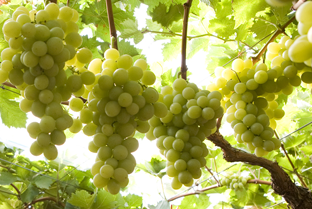 Thanks to its structure (a big installation with the possibility of a roofing made of nets or tarpaulin) it has a triple function, it can bring forward or delay the ripening of the fruit and at the same time it protects grapes from atmospheric agents. 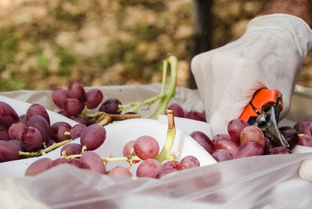 The grapes collected in the vineyard, after the proper control of an agronomists’ team, is traced with an internal system along the supply chain until the final consumer. After the harvesting phase the product reaches our warehouse in order to be refrigerated and delivered to our client or to be processed and then delivered to the client. On client’s request we can package the product in Flowpack. Moreover it is possible to package the products with our clients’ specific registered trademark.